Professional installation and results. From bigger jobs to modest jobs. All types of wall problems completed fast. Pleasant and very qualified workers. Get a no-cost estimate. Easy to work with. You will like the way it turns out. Are you thinking about putting in new walls and ceiling to a room? Or it could be you have a wall or ceiling that needs a hole patched or should be refinished. This local company mainly puts up and repairs sheetrock interior walls and ceilings. If you have a remodeling job, they can do that. They can also carry out repairs, big or small. 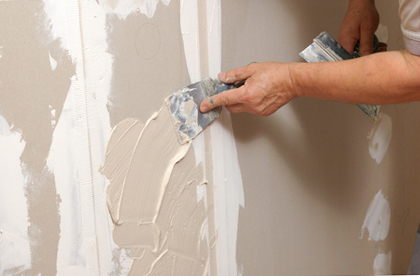 Repair projects may involve patching holes or cutting out and replacing bad parts of sheetrock. And they can work with both homeowners and commercial property managers. Whatever you need, they can probably take care of it for you. 1. Bring the drywall to the work place. 2. Install (or hang) the sheets to the walls or ceiling. 3. Pick up and get rid of garbage and extra material. 4. Tape the joint seams between sheets and apply joint compound to every joint area or screw head. 5. Finish, smooth, sand and apply some texture to the surface areas. After these activities are accomplished, you can get started with your painting. They will carry out the whole process, from beginning to end, or they will do just the first few steps or the last few steps. For instance, if you’re only interested in having someone truck the sheetrock to your property (and you want to do the rest of the work), they could take care of that for you. Sometimes a property owner already has their sheetrock up on the walls, now they are seeking somebody to just complete the rest of the project. And so they call a local service. You don’t use standard sheetrock in moisture-prone rooms, they’ve got specific boards that aren’t paper-based for that. Plus, they have specialty cement-based boards for any wall that you wish to put heavy tile on. Tile should be placed on a sturdier wall board product. They can take care of any part of the install process. There are several ways someone can inadvertently poke a hole in their ceiling or wall. And there are lots of spots where a water line component could develop a slow leak and eventually wreck a ceiling. If your wall or ceiling has just one hole, it’s possible you could try to fix it by putting in a drywall patch, which you could get at any home improvement store. A lot of the patches which property owners put on do not wind up looking too great. It takes a little practice to discover how to apply one the right way. While many specialists encourage homeowners to attempt minor repairs, some experts believe larger or more visible repairs ought to be dealt with by a qualified repair person. One of the difficult elements of this procedure can be to coordinate the texture of the latest materials so it seems like the original material. Repairing or patching one or two separate holes or cracks. Correcting a few trouble spots so some areas or rooms can be painted. Removing and replacing sheets of drywall damaged by water or something else. Doing the removal and replacement of a big area. Normally because of a water malfunction or other event. From minor assignments to big restoration jobs, they can handle it. Simply unfinished surface – just taped, suited for non-finished work rooms or garage areas. Smooth finish – zero texture, all ready for painting or wallpaper. Simple texture – provides some extra depth. Complicated texture – hand-troweled and more tricky to do. Texture matching – your new materials match with your old ones. Is there that popcorn texture up on your Hayward ceiling? You can call someone to remove that unwanted, messy popcorn ceiling texture and replace it with a fresh, smoother one. 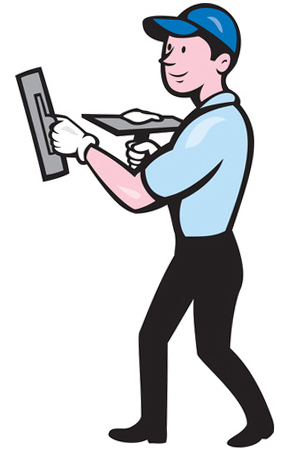 They are a hard-working group of experienced drywall installers and refinishers. Their aim is to offer homeowners economical and great quality interior renovation work. They bring along the best tools and gear to get your job finished fast and done right. Plus they use only the top products for your job, which will resist damage and be long lasting. Property maintenance can get stressful on a homeowner. They try to be tidy and respectful. And they try to keep the dust and dirt down too. Many jobs generate a bit of waste, but they will bag up and take away all the rubbish they produced, plus any unneeded material. They have experience participating in all types of work assignments. They work in individual houses, apartments and industrial buildings, and doing final repairs and renovations. They can work with anybody, from homeowners to business building managers. Most projects are not exactly alike, but they will come up with an estimate for your job. They will need to know the number of services they will be supplying and the size of the rooms that will be worked on. Because there can be so many variables, it’s best to just speak with them on the phone to get a quote. If you don’t want to do all your own priming and painting, they can start right away and get the painting completed as soon as possible. If you don’t want them to do it, you could engage a different painting contractor or just paint it yourself. They’ll be fine with whatever you decide to do. You can often find them working on jobs around the Tri-City Area, especially in North Fremont. A lot of work goes on in Hayward, Sorenson, Russell City and the Southland Mall area, including the zip codes of 94545, 94544, 94541 and 94542. Do You Work in My Part of NorCal? They work at homes and business properties from Fremont up to Hayward and all areas in between, such as Russell City, Southland Mall area, Sorenson and the 94541, 94542, 94544 and 94545 zip codes.